A man has been charged with drink driving and his female passenger charged with assaulting a police officer after being stopped yesterday morning. Police stopped the Vauxhall Astra at around 1am on Sunday, March 6, in Staithe Road in Wisbech. A 23-year-old man of Cannon Street in Wisbech was arrested and charged with driving while under the influence of alcohol. He blew 64 when breathalysed, the legal limit is 35. 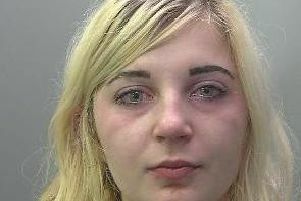 A 24-year-old woman of Staithe Road in Wisbech was arrested and charged with assaulting a police officer. Both have been bailed to return to Kings Lynn Magistrates’ Court on March 21. The vehicle was seized for having no insurance.